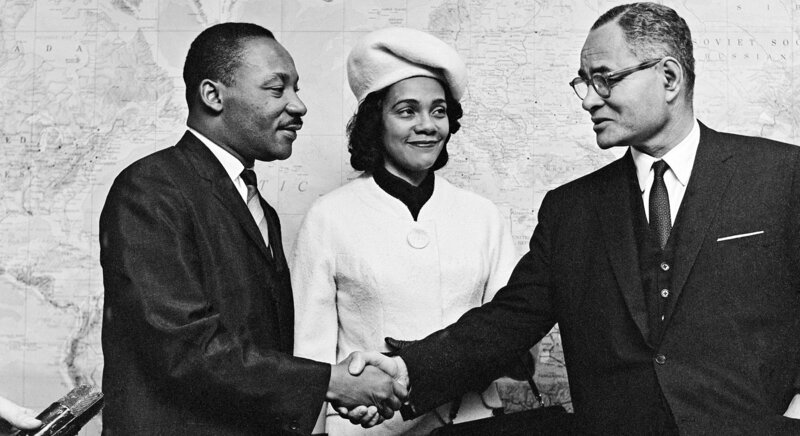 Dr. Martin Luther King and Mrs. King are greeted by Ralph Bunche on a visit to the United Nations in 1964. Recalling the life and legacy of Dr. Martin Luther King Jr., who was assassinated 50 years ago today, United Nations Secretary-General António Guterres urged the world to build on the civil rights leader’s work for equality and social justice. “Dr. King was one of the moral giants of the 20th century. He devoted his life to equality, justice, and non-violent social change,” said the UN chief in a statement attributable to his spokesperson. Dr. King’s advocacy and pronouncements against discrimination, and in favour of social justice, of global understanding and the virtues of diversity are more relevant today than ever, added the Secretary-General. Born in January 1929 in Atlanta, Georgia, Dr. King was shot and killed on the evening of 4 April 1968 while standing on the balcony of the Lorraine Motel in Memphis, Tennessee, where he was to lead a protest march in sympathy with striking garbage workers of that city. In 1978, ten years after his death, the civil rights leader was posthumously awarded the United Nations Prize in the Field of Human Rights, honouring him for his outstanding contribution to the promotion and protection of the human rights embodied in the Universal Declaration of Human Rights and other human rights instruments. Dr. King was awarded the Nobel Peace Prize in 1964. There needs to be a “massive global coalition of conscience” to enshrine the values of racial equality and human rights for all, declared civil rights icon Rev. 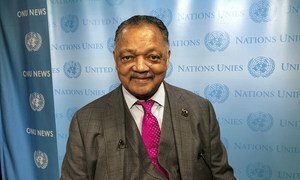 Jesse Jackson, speaking at the United Nations.